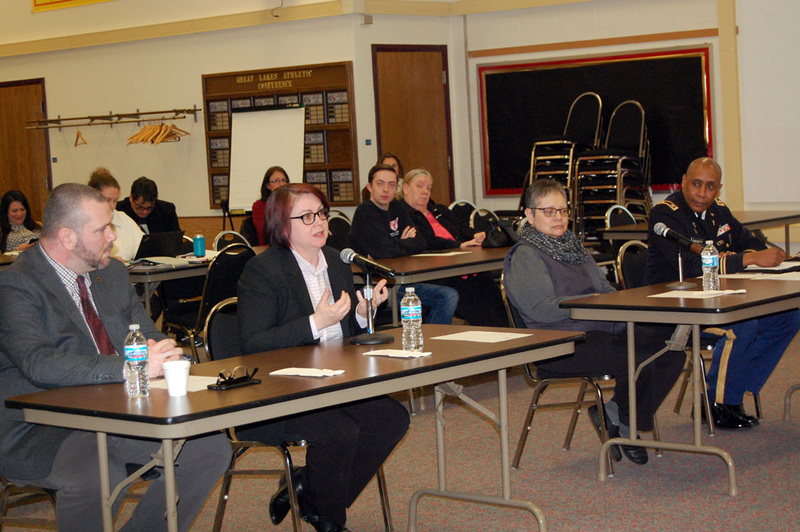 Four candidates, whittled from numerous applicants to fill the vacancy on the Hammond school district’s board of trustees, were interviewed by the current school board in an open meeting Wednesday night at the district’s administration building. The vacancy came from the resignation of board member Marilyn Jones in January. Lt. Colonel Antonio Daggett, a former high school principal who recently received his school superintendent’s license. Lisa Miller, currently an administrator at South Suburban Community College. Joshua Craig, currently a teacher at Munster High School. Questions from board members, the same to each candidate, drew out their experiences in finance, budgets, leadership, and decision making. After three rounds of board member’s voice voting, Miller came out on top. The board had the authority to make the appointment on its own, said White, “but this board decided to accept letters of intent. We were committed to opening it up to the community.” Indiana’s Open Door laws required the process be held in public.